1000 fans on my Facebook page and over 90 on the Blog… that needs to be celebrated! 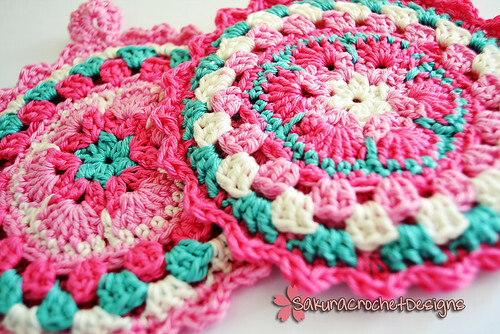 I am giving out this pair of “Strawberry Fields” potholders made by me to ONE lucky winner! To enter this giveaway you have to do just 3 things. 1. Go to SakuraCrochetDesigns on Facebook and like the page, if you havent yet. 3. Let me know you have done both point 1&2 by leaving a comment under this post to validate your entry.